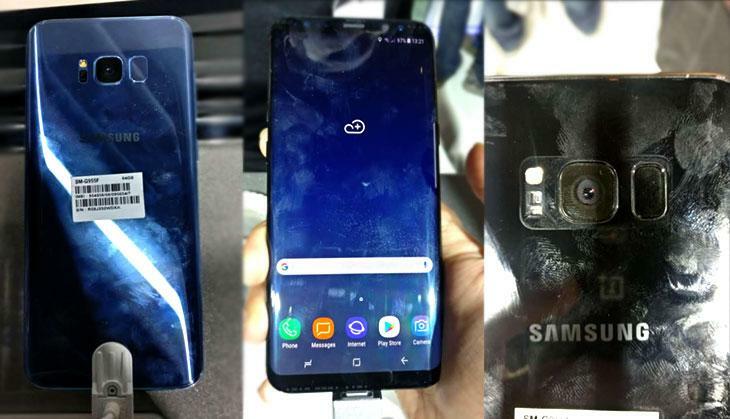 Samsung finally took the wraps off its flagship phones for 2017 - Galaxy S8 and Galaxy S8+ - on 19 April, in a launch in New Delhi. The former will retail at a price of Rs 57,900. The latter at Rs 64,900.Expected to be the biggest smartphone of the year barring Apple's iPhone 8, it has everything one comes to expect in a flagship phone costing the same as a round-trip ticket from New Delhi to New York. Samsung also unveiled the Gear 360 camera and Gear VR with controller. Expected to be the biggest smartphone of the year barring Apple's iPhone 8, it has everything one comes to expect in a flagship phone costing the same as a round-trip ticket from New Delhi to New York. Samsung also unveiled the Gear 360 camera and Gear VR with controller.It has an octa-core processor, 4GB RAM and 64GB of storage space. It has a 5.8" and 6.2" Quad HD+ Infinity Displays. The rear-camera is a dual pixel 12MP OIS while the front-camera is 8MP. The battery in this workhorse of a phone is 3,000 mAh on the S8 and 3,500 mAh on the S8+. Both phones have fast charging on wired and wireless and NFC. Finally, both phones come with Android 7.0 out of the box. It has an octa-core processor, 4GB RAM and 64GB of storage space. It has a 5.8" and 6.2" Quad HD+ Infinity Displays. The rear-camera is a dual pixel 12MP OIS while the front-camera is 8MP. The battery in this workhorse of a phone is 3,000 mAh on the S8 and 3,500 mAh on the S8+. Both phones have fast charging on wired and wireless and NFC. Finally, both phones come with Android 7.0 out of the box. The USP of this phone is three-fold. Firstly, it is that bezel-less dual-edge Infinity Display that everyone has come to love. One look at it and you instantly notice how much it has improved since the S7 Edge. Secondly, it is powered by the industry's first 10mn processor that allows for 20% less battery consumption. Finally, it is Bixby, Samsung's own virtual assistant as compared to Google Assistant, Apple's Siri and Microsoft's Cortana. Here's my first impression of the phone after using it after the launch event got over. A 6.2-inch screen at the same height as the 5.5-inch iPhone 7 and slimmer than Apple's offerings. Samsung is clearly pushing the boundaries here. Using the phone in one hand was somewhat difficult, especially reaching the icons near the edges of the screen. Use it for long enough and you'd get used to it. The Infinity Display leaves one guessing as to where the top and bottom bezels are and where the display begins. This is because Samsung chose to make the front uniformly black. It makes every phone before it, including LG's G6, look dated. There isn't any physical home button as well thanks to the edge-to-edge display. Nonetheless, that screen is close to perfection. Samsung's AMOLED displays at a resolution of 2960x1440 are a sight to behold. It's sharp and very good for reading, watching videos and playing games. It felt a little less sharp in the demo zone with lots of artificial light, but nonetheless, the display itself made up for that. The performance of this phone will not make anyone squirm. It breezes through anything anybody throws at it. Everything is seamless and one comes to expect that. Throw a heavy video at it, a graphics intense game or even dozens of apps open at the same time. This phone is no slouch. The most unusual decision from Samsung came with its placement of the fingerprint scanner. From the S7 to the S8, the fingerprint scanner has moved from the front to the back. It's placed right next to the camera. 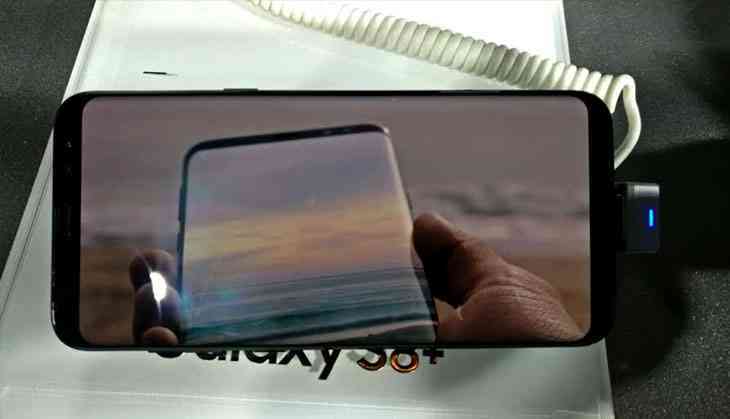 This was done to make space for the battery, Samsung says. The problem here is that it has the same metal raised rim around it, just like the camera. That's a problem for those who want to use the fingerprint scanner as a scroller (as in the case of Motorola's G5 Plus) and for those who just want to lock and unlock the phone. That camera is going to be hit a fair few times and get smudged. Here's what some reviewers in the USA had to say. BuzzFeed News' Nicole Nguyen: "The S8’s fingerprint sensor and the camera feel basically the same, which means I kept smudging the camera lens and unlocking the phone at the same time." The Verge's Dan Seifert: "I frequently touch the camera lens instead of the fingerprint scanner, smearing the lens with all of my lovely finger oils." So, it's safe to say that placement of the fingerprint scanner is definitely a negative. With Samsung touting the Iris Scanner as an alternative to the fingerprint scanner, it'd be a positive if only it consistently worked. While I couldn't personally test it - as the company's executives were worried if one person uses it, the phone might be locked henceforth - reviewers have complained about it failing more than just a couple of times. From the fingerprint scanner to the camera. Samsung's stuck with the cameras from the S7 - 12MP, f1.7 snapper - and comes with dual pixel autofocus. An odd decision but maybe it's because the cameras were already great. Sure, the S7 and S7 Edge cameras are near the top of their class but seeing as Google's Pixel and Pixel XL phones have beaten it, Samsung could have done more. Unfortunately, Samsung's new phones don't come with a dual-camera setup, which the competition has been rocking as of late. What has improved is the front-facing camera. The camera has been bumped up to 8MP from 5MP and comes with smart autofocus. While one can't say for sure whether or not it beats Google's Pixel without fully testing it, in the limited time at the demo zone, the camera seemed only as good as last year's S7, which means it has fallen behind. Lastly, and I won't go into much detail, but that single-speaker is simply not loud enough. It's a weak speaker. Samsung has decided to include AKG by Harman earphones and that's a better way to listen to music. The question one needs to ask is whether bigger is better. In this case, it most definitely is. That screen is as gorgeous as it can be. The other question to ask is, should one buy the S8 or take a round-trip ticket to New York or just save their money altogether. While last year's S7 came in under 50k, this one has been priced at 58k, a steep price indeed. That gorgeous display aside, Samsung's phones don't have much going for it looking at the competition. Xiaomi just unveiled their latest flagship - Mi 6 - on 19 April and barring the dated design, that looks to be a winner. OnePlus 5 is fast approaching and will undercut Samsung's price by half. If Samsung had launched at the sub 50k price, it may have gotten the necessary market share to justify the phone. For now, while it will have its admirers - just like Apple does - it won't draw in new users. Samsung lovers and prospective Samsung phone buyers might just be drawn to Samsung's C7 Pro that launched in India this month at just Rs 27,990! The question is not whether the Galaxy S8s will outperform the S7s in the market. The question is whether the S8s will do as well as the top executives of Samsung want it to. It will not be the stellar comeback Samsung were hoping for. Once I get my hands on the device and do a thorough review, my thoughts might change, but starting at Rs 57,990 is a tough pill to swallow for a lot of consumers. Dinakaran bows out, paves way for AIADMK merger. Is this end of Sasikala?